The start of an MBA application can feel like buying a second-hand jigsaw; you never know if you’re going to have enough pieces to finish it. 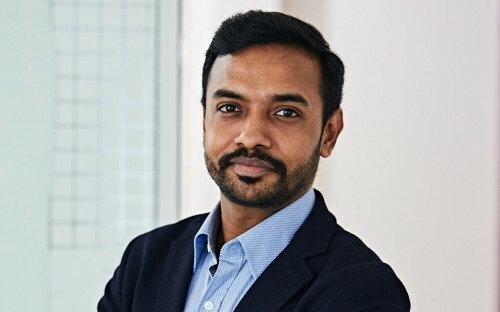 Current Copenhagen Business School MBA student, Ashok Srinivasan, knows that all too well—he had to complete his application whilst battling winter storms in the Pacific Ocean. Ashok comes from an unorthodox MBA background. He’s been a seafarer all his life, working as a QSE (Quality, Safety, Environment) auditor on ships before transitioning to the Copenhagen MBA, after a want for a strong business acumen surfaced within him. And it’s been a long journey. Ashok has been riding a decade-long wave. In 2007, the financial crisis stopped everything. “Everyone I spoke to advised me not to leave my job and go into business education,” Ashok explains. Then, in 2014, the oil crash threw further caution to the wind. Last year though, the tides turned. After speaking to Copenhagen Business School, Ashok knew it was the place for him. He had to apply. The small class size, allowing for close peer-to-peer collaboration, combined with the school’s focus on sustainability and ethical management meant it was a no-brainer. Ashok asserts that the MBA’s focus on leadership also held significant weight in swaying him towards the school—he is now going through the program’s leadership discovery process, due to embark on a trip into a Swedish forest to partake in leadership and team building exercises. Ashok is an example of the rewards for battling through the long, arduous journey of an MBA application. He was at more of a disadvantage than other applicants though. Being a seafarer meant he was restricted by his time at sea—securing a date for the GMAT exam was a nightmare, he explains. It was then time for him to return to Japan. Another 18-day voyage beckoned. Only this time, mother nature seemed determined to push Ashok’s determination to the limit. It seems that his enrolment on the Copenhagen MBA’s leadership discovery process started long before Ashok arrived at the school. Battle-hardened, he powered on with his application. “I guess there was something in me that said give it one more try, and that kept me going,” he says. Fatima is currently evaluating students for the Copenhagen MBA’s Waldemar Schmidt scholarship—named after former CEO of Danish conglomerate ISS, Waldemar Schmidt, who has an adjunct professorship with the school, and close ties with the MBA program. The scholarship offers awardees one-third off their tuition costs. It prioritizes students from Brazil, followed by Latin American and Asian students. A key reason people apply to the school is because of the sustainable aspect, and the smaller class size. “We have a max of 40-50 students, so they feel it’s an intimate learning experience,” says Fatima. The Copenhagen Business School MBA's focus on sustainable and responsible management is one of the reasons there's been an increase in the number of students going to the school. "We’re constantly looking at the business environment, and how it is shifting, how companies are reacting—sustainability is a big focus now,” Fatima continues. Elsewhere though, the school has seen an increase in the number of American and Canadian students coming to Europe. Donald Trump’s incendiary rhetoric is not the only quantifier. “They are more exposed to Nordic countries [than before], and they’ve been hearing a lot about Denmark, about Sweden, and how these countries are,” Fatima explains.